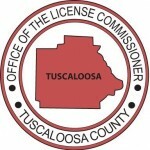 The Tuscaloosa County License Office is pleased to announce that online car tag renewals are now available. Click the following link Tag Renewal Online to begin the process. Vance Only: Driver license and non-driver ID renewals and duplicates are NOT available at Vance. Attention: Title applications will NOT be processed beginning 15 minutes prior to closing time. General questions or comments should be sent to license@tuscco.com. Questions concerning boat or manufactured home registrations, or business, hunting or fishing licenses should be sent to businesslicense@tuscco.com. The Northport, Skyland and Vance Annexes do not receive mail. The physical addresses listed for those offices are for location purposes only. Regular mail should be sent to the post office box listed above. Overnight packages (FedEx or UPS) should be sent to the Main Office physical address.